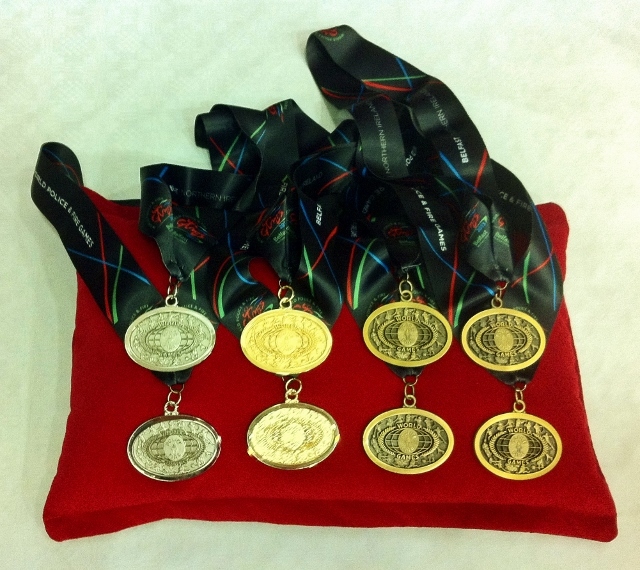 For the competitors at this month’s world police and fire games in Northern Ireland, this was what it was all about: the prospect of a gold, silver or bronze medal. For many though, the joy came in competing against fellow police, emergency or fire and prison service members and the result did not matter. These medals were the last to be presented and were for the table tennis. 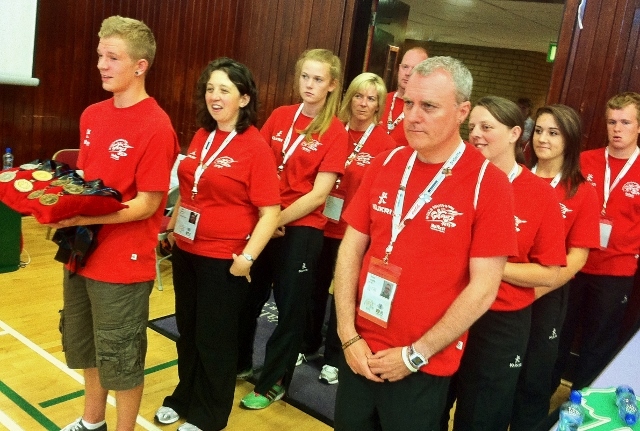 At each medal ceremony a team of volunteers was ready to help. They appeared at the Odyssey for the first medals in the novice section of the ice hockey on Tuesday 30th July, two days before the official start of the games. Then a team turned up at the Valley Leisure Centre in Newtownabbey for the table tennis medals presentations, two on Friday and two yesterday. Newtownabbey Mayor Fraser Agnew and Alastair Ross MLA were the guests on Friday. Yesterday the first ceremony at lunchtime featured the deputy Mayor Dineen Walker and for the last presentation we were joined by the Justice Minister David Ford MLA. Although the USA topped the medals table (well they had the most competitors, over 900 of them), Norn Iron in eighth position (120 medals) performed quite well considering the number of participants from the PSNI. NIFRS and Prison Service of NI. 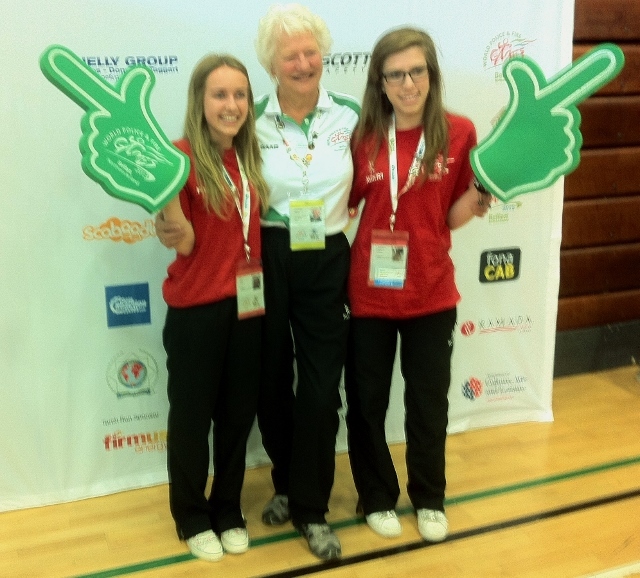 Team Ireland did one better, finishing seventh and going home with 137 medals (40 gold 44 silver and 43 bronze). 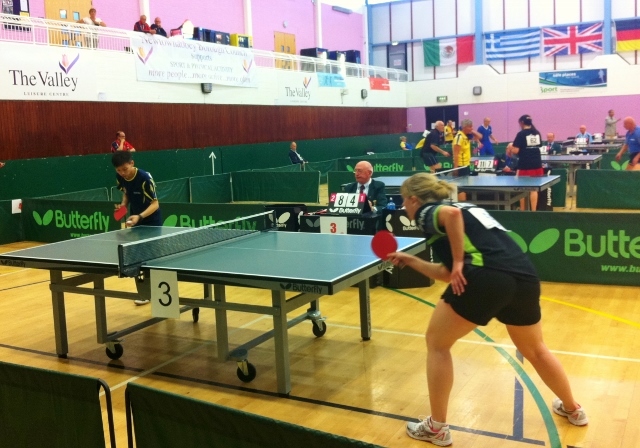 Four of them came in table tennis, thanks to Garda Louise long (a native of Cork, now based at Blackrock in County Dublin) taking bronze in the womens doubles with Susanne Eckholdt from Germany and also in the mixed doubles with a partner from the Fire Department in New York. 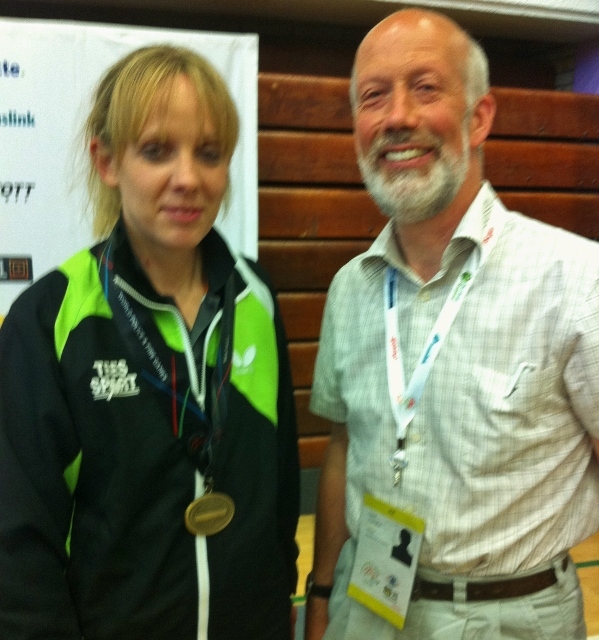 Sergeant Adrian Flynn from Sligo, who assured me he most definitely had not yet reached the big 50 took a bronze in the mens singles DIVISION II yesterday, then partnered a policeman from Yorkshire to win the silver in the mens doubles DIVISION B. 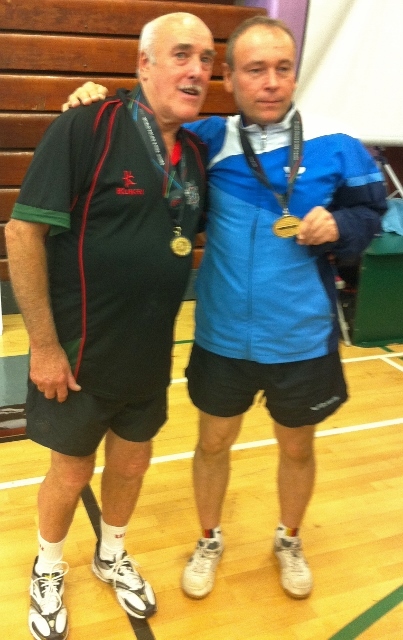 Northern Ireland had a gold medal success thanks to jay McAllister (NIFRS) who partnered a player from Kazakhstan Vladimir Markin (Almaty FTHS) in the Grand Master doubles final. 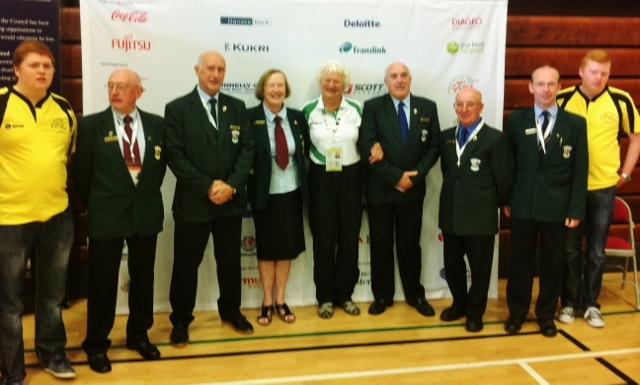 WPFG Games Patron Mary Peters has proved to be a wonderful ambassador for the games. As Patron, she has been here, there and everywhere during the past fortnight and has visited most of the 40+ venues. I welcomed her to the Odyssey Arena at the start of the Ice Hockey on July 25th. 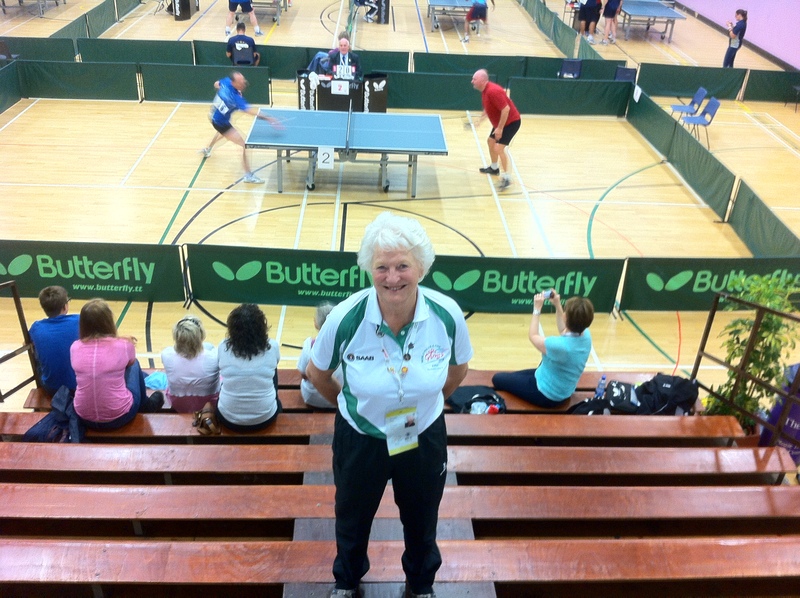 Today (Friday 9th) she was in Newtownabbey, watching the men’s singles in the table tennis at the Valley Leisure Centre. She met volunteers and officials, and also posed for photographs with members of the public who had come to watch the competition. 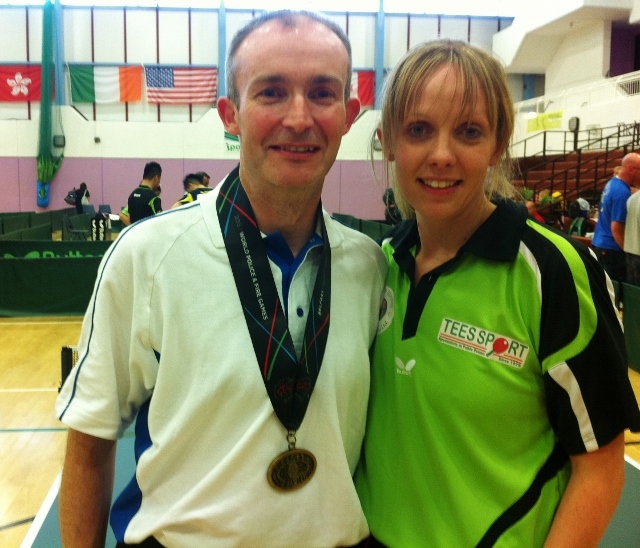 This morning Ireland won a bronze medal when Garda Sergeant Adrian Flynn from Sligo competed in the men’s singles Division II (apologies Adrian for putting you down as 50+, much to the amusement of your Garda colleagues!!). Garda Louise Long from Celbridge, County Kildare who is based at Blackrock, Co.Dublin was playing in the women’s singles. She is an Ireland national coach and has been in the Gardaí for over seven years. But her opponents especially the Chinese proved too strong for her. 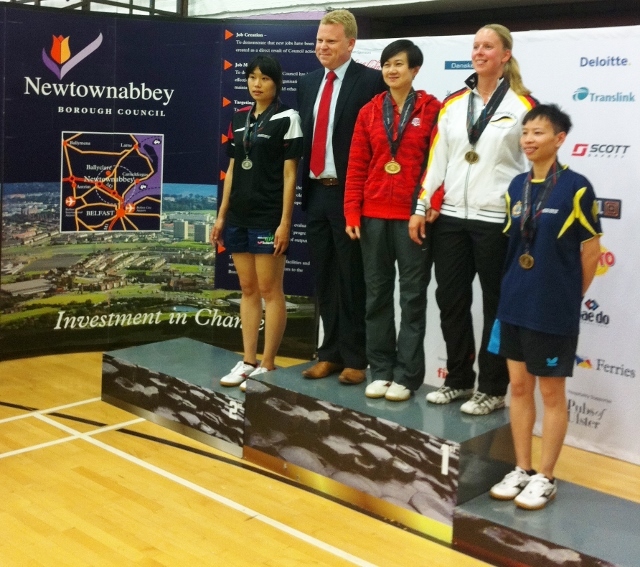 The results in the women’s singles were: Bronze Susanne Eckholdt (Germany); Silver Wan Ling and Gold Mei Yang (China). Now I had better get some sleep otherwise Susanne and her three German colleagues I am collecting in the morning will not get their lift from the Malone Road to Newtownabbey! I gave them a lift back to Belfast as there was still some trouble in the city centre and then I headed for Newforge where a party was in full swing!